RETRO KIMMER'S BLOG: QUINTESSENTIALS YOU MUST HAVE DURING WINTER BINGO SEASON IN UK! QUINTESSENTIALS YOU MUST HAVE DURING WINTER BINGO SEASON IN UK! Every season has its own wardrobe essentials and with the season getting a bit chilly, now it’s all about being warm yet stylish. Here, I’ve got for you, our top 5 Autumn essentials you are going to love wearing to all occasions! Cashmere crewneck sweaters never go out of style. This chic layering piece can be teamed up with almost anything like skirts, leather pants or shorts. It looks even better with a collared shirt worn underneath. Cashmere Sweaters looks best when you are off to school or going for a casual outing in the afternoon. When it comes to winter, the outer layer of your outfit becomes the most important or the visible part of you. Try wearing a nice and long, pop-colored statement coat to any neutral or all-black outfit when you are going clubbing. Make a statement out of it! This is the perfect winter wear! Over the knee boots can be dressed down with pants and a sweater for a casual daytime look or even glammed up with a skirt or mini dress at night for a chic look. They don’t just look extremely sultry but also keep you warm. So if you do not have a pair yet. Trust me, you need them now! The easiest way to show a bit of skin and stay cozy at the same time is by wearing a cute knitted woolen dress.You can totally go for bright colors or earthy colors or even choose between a firm fitting style or a relaxed version, based on the occasion. This, personally is my very own favorite! 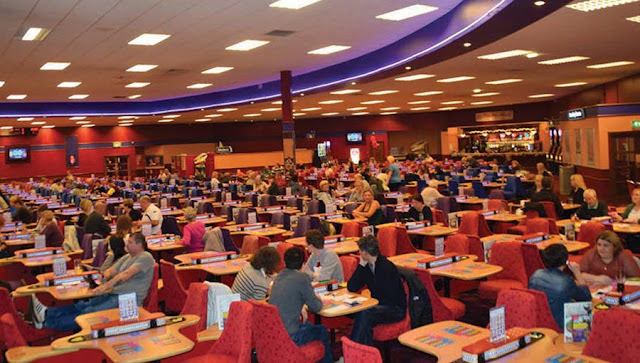 No matter what the Bingo Diamond venue or what time it is, you really can’t go wrong here. Wear them with skinny jeans and a tee for those casual morning outings or leather pants along with ankle boots if you are heading for a party or probably to a fancy casino or bingo hall. The leather jacket has the power to transform any winter outfit from drab to fab! So this season of fall, don’t go out with your regular pullovers. Wear something that oozes stylishness. Be confident while walking down the street.